Apple supplied a sample for the iPhone 3.2 SDK called “Keyboard accessory.” Its goal is to demonstrate to developers how to use a keyboard accessory view. We noticed in Job’s demo that he had a little difficulty using the virtual keyboard. If his hands were smaller, he probably would have had an easier time. The problem with a small keyboard is the hands and wrists are forced into unnatural positions. Based on what we saw of the virtual keyboard, we thought wouldn’t it be nice to make it flexible and adaptable to individual users? 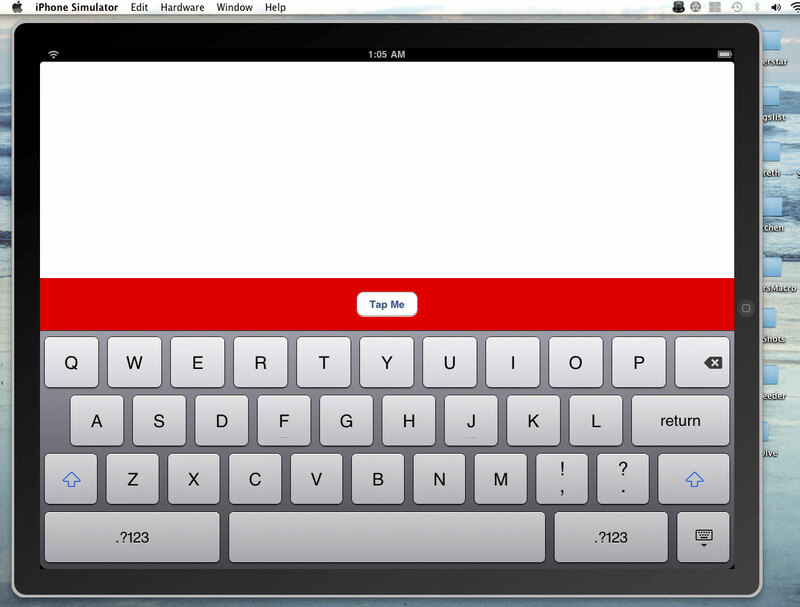 One of the interns said…”Hey, dumbass, it is a virtual keyboard. Just make the keyboard “warpable” and stop your whining.” Hmmmm…the little twerp may have something. 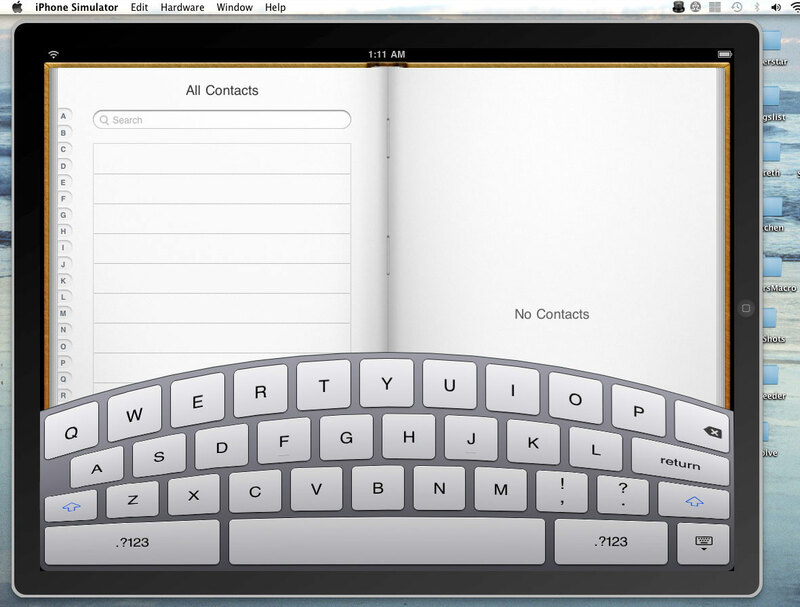 The basic idea would be to build an app to enable the user to shape a keyboard by pulling and pushing on it. Users can “warp” the keyboard until it feels comfortable for them, save the shape, and have it replace the default keyboard for typing interactions. Maybe users can name them so they can save more than one shape. Other possible extensions to the idea would be to allow for individually adjustible key sizes and/or spacing.